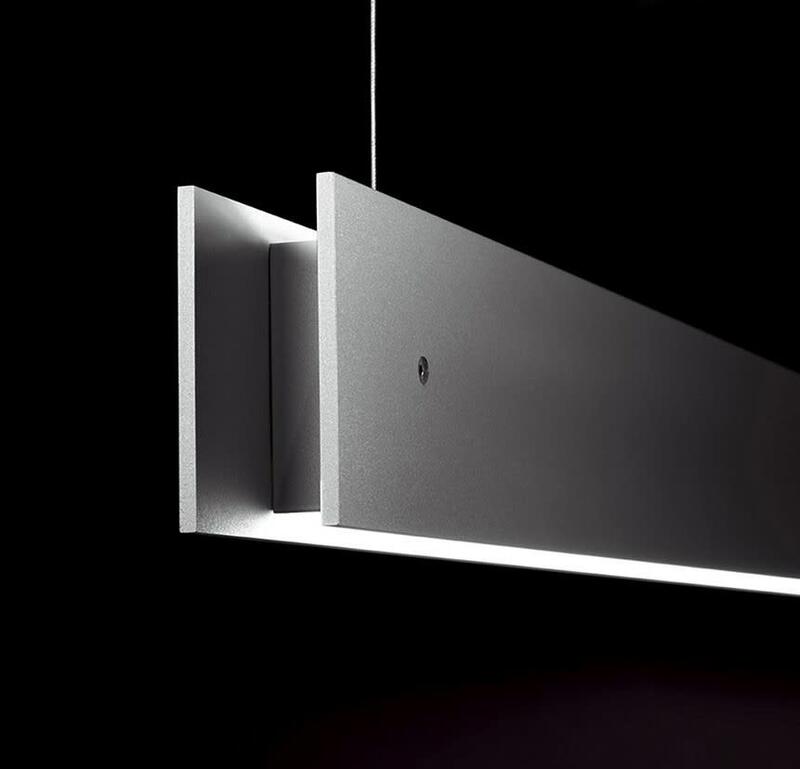 Suspension lamp made from aluminium, with an opal polycarbonate shade and direct light (1L), indirect light (1L), or both (2L). Available in several finishes: matte grey, satin white, satin black, or oak veneer. Fluorescent or LED, two “on” settings and dimmer versions available. Other measurements, finishes, and emergency kit also available.